« What is the difference between “under-expansion & mal-apposition” of coronary stent ? 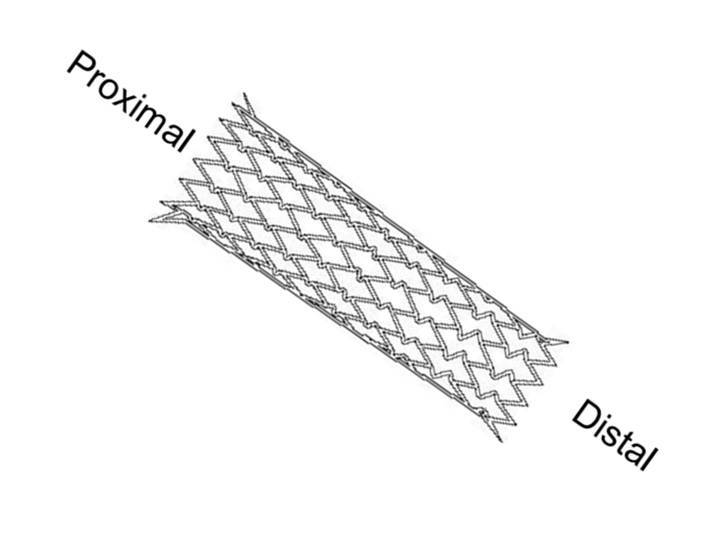 When do you use a tapering coronary stent ? Which company makes it ? Is there a hemodyanmic purpose for this tapering in LAD ? What is the relationship between tapering angle and final distal diameter? So, if you have a long lesion in proximal LAD and planning to stent with a 40 mm or long stent the distal end is hyperinflated by atleast 1.5mm, if we use a non tapered stent. Though , gain of extra diameter in distal segments might appear attractive, this may not work to our advantage , since it defies and distorts the natural hemodynamic flow pattern. Further , when you have tapering vessel, proximal optimisation becomes more important. How about a tapering coronary stent ? It should be a welcome addition to our already overflowing coronary hardware in fixing long lesions . Its still a surprise why only very few are making this type of stent. Meril has developed a tapered stent up to 60 mm long (Biomime morph).It should be useful in specific lesions sub types.Its worthwhile to note tapering stents are used more often in carotid artery . Advantages of long tapering stent over two stents of different sizes. It avoid the vulnerable overlapping zone with double metallic load. Why the concept of Tapered stent is not that popular ? I can only guess, probably lack of free availability and to a certian extent ignorance as well ! However ,current status about tapering stents is expected to evolve, though many cardiologist still feel it’s not clinicaly important issue to use a tubular stent in tapering vessel. Alternative interventions in tapered vessel. Experts in this modality are welcome to share their experience.